Kiosk publishes books about creativity. 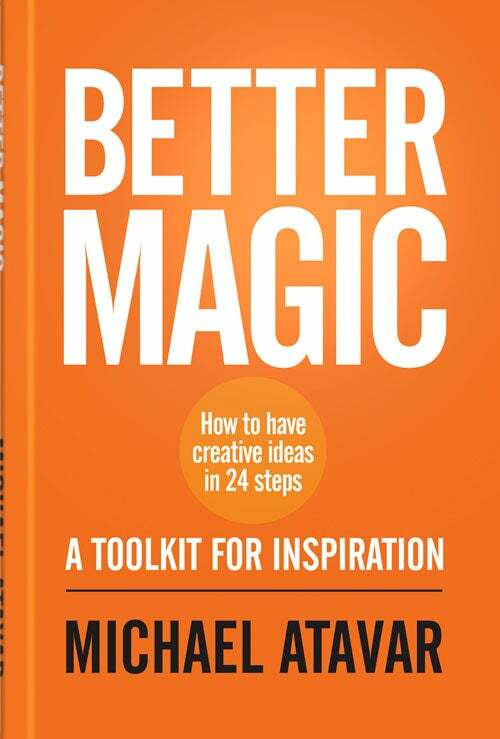 Our latest 'How To Have Creative Ideas In 24 Steps - Better Magic' offers a toolkit for inspiration. Whether you are working in business or teams, leadership or creative solutions, this volume will help you to locate the good idea. The book contains examples from Michael Atavar's recent work in the creative industries and offers tips, exercises, group tasks and games. Put it in your pocket, it will change your life.